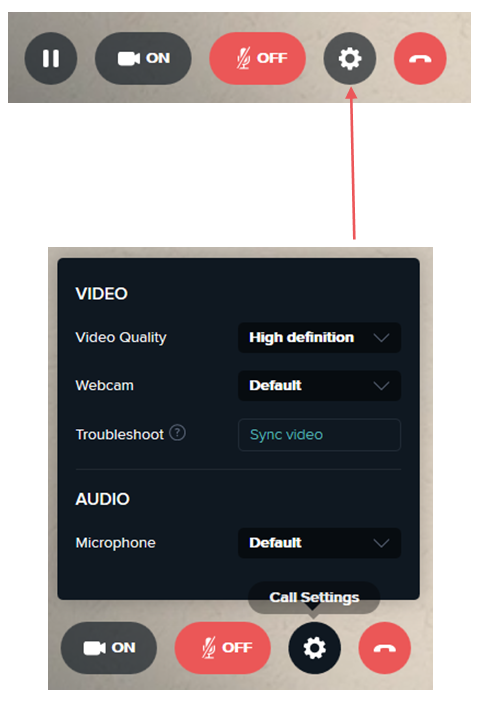 Doxy.me allows you to easily change the resolution of your video while you are on a call. Low Definition (LD) video requires less bandwidth and computer power. This increases the likelihood of a stable video call. Standard Definition (SD) provides a clearer picture but requires more bandwidth and computer power. High Definition (HD) provides the clearest picture but requires the most bandwidth and computer power. Choose video quality under "Default video quality"
Note: SD and HD video are available to Professional or Clinic users. If you are having trouble changing the video quality, contact our support team.